There are countless studies confirming the benefits of running, and for just the cost of a pair of running shoes, you can essentially go from a couch surfer to marathon finisher in a matter of months. But let’s say running just isn’t your thing, or you’ve been a runner for a long time and are feeling bored and burnt out — what next? How can you spice up a running-centric routine? 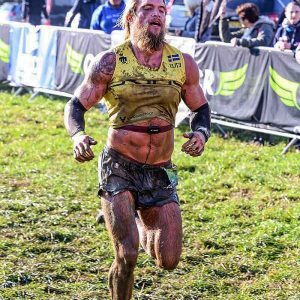 How a running background can translate into a successful OCR career? Luckily, a strong running background is the perfect foundation for a wide range of sports and fitness-related activities. 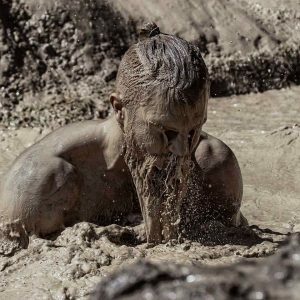 Obstacle course racing, or OCR, is one such sport, and it combines running, swimming and strength-based obstacles for a complete, total-body workout. 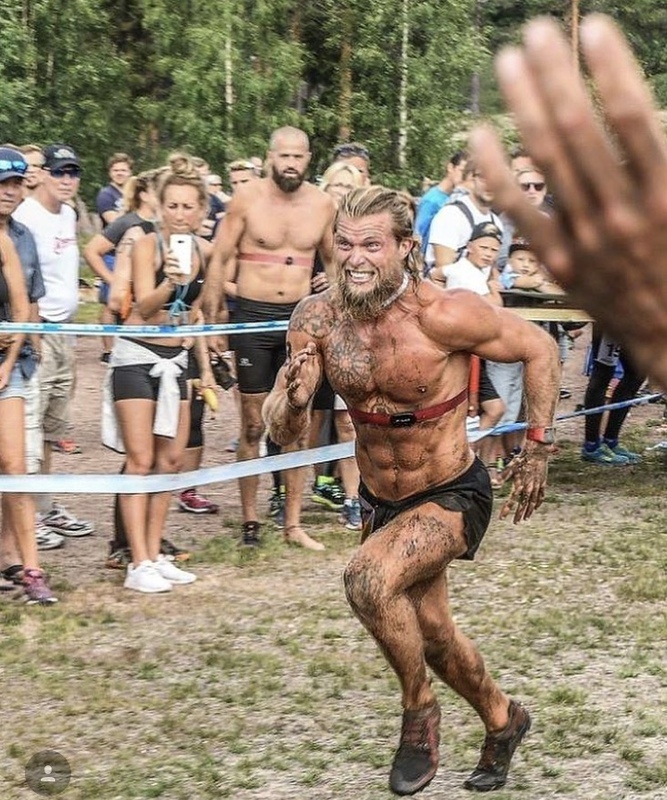 We reached out to Christian Jonsson, obstacle course racer (OCR), CrossFit athlete and Polar Ambassador, to discuss how a running background can translate into a successful OCR career, his go-to gear selections, and some of his tips for newcomers to the sport. To start off, how and when did you get into OCR? I got into OCR because of I’ve always loved running out in nature and at the same time I love strength workouts and hard conditions. I guess this fetish comes from my time in the army. 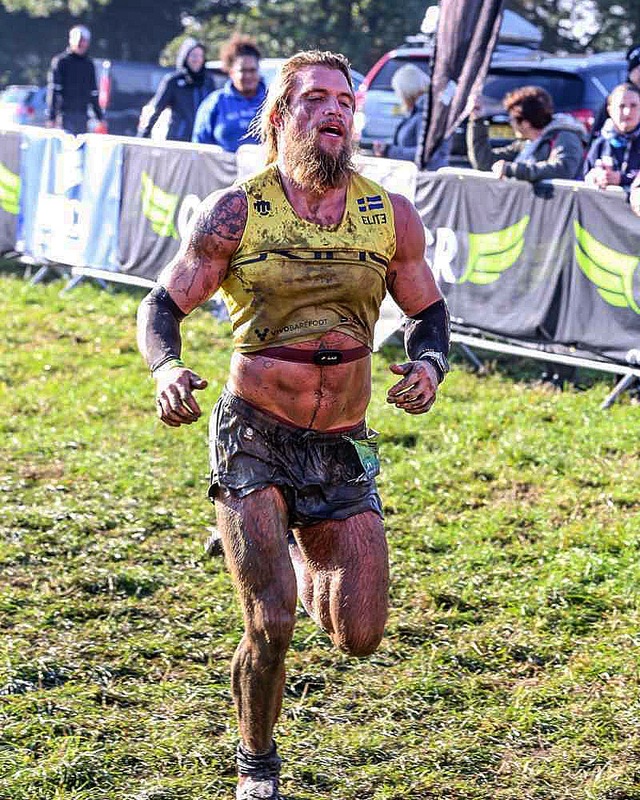 The first time I competed or participated in OCR was the 2012 Toughest OCR in Malmö, Sweden. I didn’t really have any goals from the start, but two years later when I trained a bit and had a strong body ready for endurance, I aimed to win. I at least wanted to be in the top 10 in Sweden, because I didn’t want to lose all my muscle strength to shave off a couple of minutes on the course. The running has always been my weakest aspect of the sport, it’s hard to move around 80 kilograms fast enough when the guys you’re competing against run 10 kilometers in 30 to 35 minutes. What are some health benefits of training for and racing OCR? I would say the benefits of a complete OCR training program is that most of the training, except the running, is functional movements you can use in your everyday life. At least I feel it in my life and at my work in construction, for example. You gain loads of grip strength, as well as pulling, lifting and hanging strength. Also, I love the combination that the sport is practiced in natural environments — water, the woods, and up and down hills. 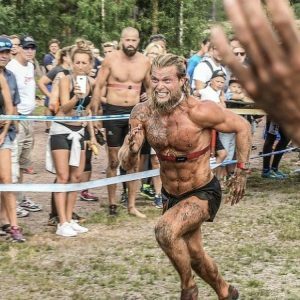 What is the main difference between training only for running, and training for OCR? If you only train for running you don’t have to think about balancing your body for strength, but in OCR you have to balance your body to beat the obstacles along the course. Combining high-pulse running and strength makes OCR totally different than just running. Running is not a natural total-body workout movement on its own — the body needs more. What characteristics helps runners transition to OCR athletes so well? The courses are often eight- to 40-kilometers long and this gives endurance runners a huge advantage. I’ve also found that strength is far easier to develop than running endurance. You don’t need that much strength in your muscles to make the obstacles, but to run 10 kilometers in 38 minutes — that takes a lot! What gear do you use when racing? I always run light — small shorts (tights or running shorts), my race vest, a Polar watch (at the moment Polar Vantage V), sometimes the H10 heart rate sensor if I think it’ll not be in the way, and the Vivobarefoot Primus SG on my feet. How do you use Polar Vantage V in OCR training and racing? While training, I am looking for my activity level in my daily routine to not overload my training. Usually I am looking at, and of course feeling, my pulse during workouts to know my level of exhaustion. I love that there is an optic sensor for the times when I forget the strap or it’s out of battery. Speaking of the optic sensor, what are the benefits of the wrist-based heart rate sensor when doing OCR? You get rid of the sensor strap around your chest that most people think makes your breathing harder. The sensor of a chest strap is also placed in an area that is used during some obstacles, for example the Irish Table, when you are dragging yourself up on a platform 1.80 meters up in the air. In your own words, what makes OCR so appealing? It’s a sport that you can do with any kind of former sports background, and all competitors have their own strengths and weaknesses in the sport. You also meet lots of wonderful people who will be your friends for the rest of your life. To wrap up, what tips do you have for someone who has never tried OCR before? Run a ton before, and make your running more difficult to account for the obstacles and workouts along the way. Train explosive muscles and grip strength, and of course, mixed running terrain — wet, muddy and cold. How do you know if you're training enough or overdoing it? The new 3-in-1 Training Load Pro feature will help you understand, control and improve your performance.